Even just one previous infection could allow E. coli bacteria to ‘reprogram’ the bladder lining. This happens by leaving a ‘molecular imprint’ in the bladder wall, very much like marking their territory. Altered gene expression and defects in cell maturation. A remodelled urothelium (bladder lining) that makes it easier for bacteria to invade cells and establish intracellular colonies. These changes to the bladder wall mean that when the bacteria re-enter the bladder in the future, they can strike more easily. It also facilitates the development of intracellular bacterial communities, which are believed to be one of the main mechanisms behind chronic UTIs. The key time frame for the imprint to occur seems to be 14 days. In this time, either the host’s immune system has to resist the infection, or the infection has to be treated. If neither has occurred, E. coli have the chance to leave their imprint. Changes to the bladder wall are thought to be irreversible. The same researchers suggest that the imprinting process could be inhibited by preventing a certain inflammatory enzyme (called COX-2, this is the same enzyme that is inhibited by some painkiller drugs) or by vaccination (which is not on the market yet). Ideally, we’d support the immune system with appropriate diet and lifestyle changes (especially stress reduction, as stress can affect immunity). If the immune system is functioning at its best, it should be able to ward off an infection. The next option would be to make sure that urine is voided properly to flush out bacteria (learn more about this in my free eBook) and that pathogens can’t enter the bladder in the first place by using hygiene hacks. If however an infection can’t be warded off in the first few days, it should be treated promptly and aggressively with antimicrobials. Some experts (like Professor Malone-Lee) recommend targeted, aggressive antibiotic therapy that is long enough to knock out all pathogens. Unfortunately, UTIs aren’t commonly treated that way and I’ve had the worst of my problems (IC) kicked off by antibiotics. It may help to pass current research on to your doctor to guide his therapy (links to research papers can be found in the sources of various articles on this blog). Natural antibiotics can also be effective with less side-effects. Probiotics may be helpful during an infection and especially during antibiotic therapy. 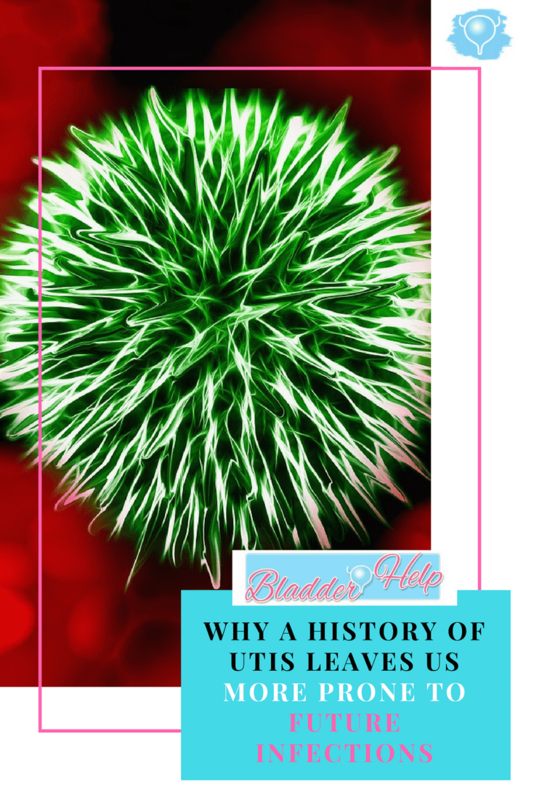 Have you been more prone to UTIs after your first infection? What have you done about it? Let me know in the comments!